Graduate students at NYU's Tisch School have developed a device that can detect air pollution. Photo via FastCompany. 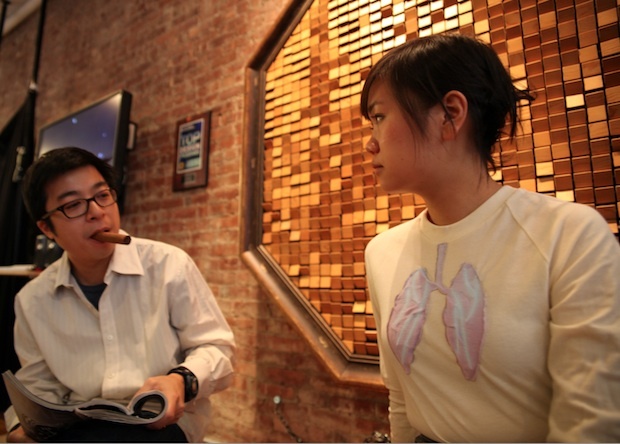 A pair of graduate students at New York University’s Tisch School of the Arts, Sue Ngo and Niem Lam, have created a shirt that changes color when exposed to carbon monoxide. The students are looking for a way to mass produce the shirts more cheaply than the $60 worth of material they currently cost. They would also like to organize people to wear them around the city and are experimenting with other kinds of sensors like an alcohol detector.